Widcombe, then a suburb of Bath, on the South bank of the River Avon, was the commencement of walk No.3 of the earliest Bath Penny Posts, established in 1810. 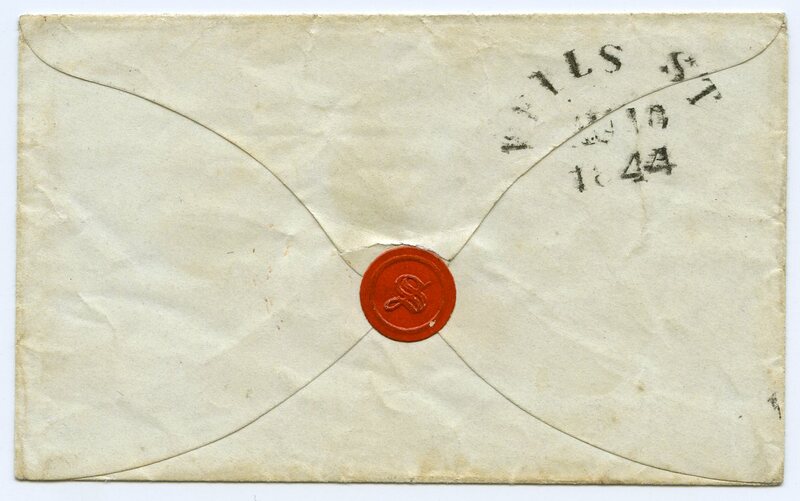 The receiving house numeral 'No10', known in black and grey-blue, remained in use until the sans-serif undated name stamp was issued in November 1844. Cross, near Axbridge, had ceased to be a full post town on the completion of the Great Western Railway, but continued as a local collection-distribution centre. 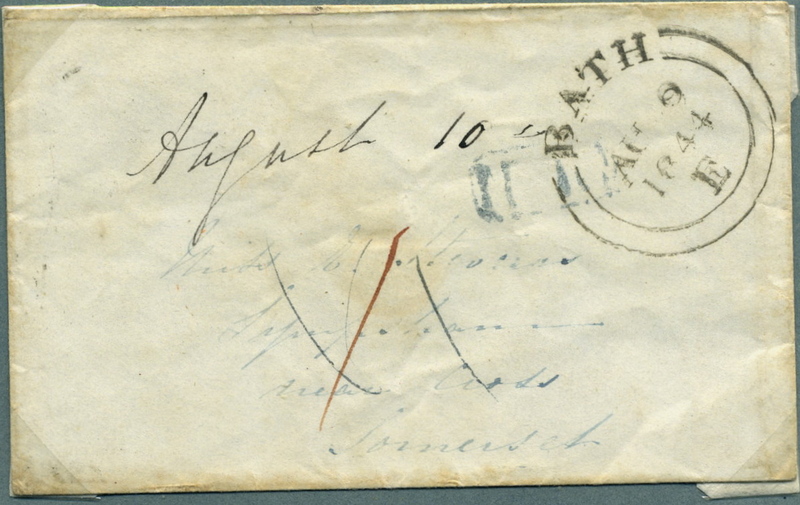 Postal records show the the sans-serif c.d.s was despatched to Wells 9th August 1844. the first item, above bears on the reverse a strike of the 'moveable' on the last day of use.